ISS has been providing for over twelve years, its residential customer base with the very best quality of service across the audio, visual and home networking sectors of its business. The ISS engineers are Part P electrically qualified which means you can be safe in the knowledge that any work undertaken will be finished to the very highest of safety standards. 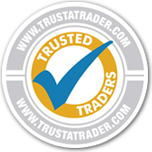 ISS’s positive customer feedback reinforces the company’s vision of always putting the needs of its customers first – an average score of 9.9/10 on checkatrade.com and over 1300 reviews and also over 1700 reviews on trustatrader.com with an average of 4.9/5 . The new television standards found in digital TV mean that there are now a large number of channels that can be watched from the home. Digital Televisions are not without their own fair share of connection problems, which can be traced from the aerial, right the way down to the television set itself. If you’re not seeing your digital terrestrial television clearly, ISS can provide a technical verification that everything is working as it should, from freeview through to dab and fm aerials. Whatever type of television you have in your house, an LCD, LED, Plasma or any other type of SMART flat screen televisions, our ability to hide the many wires the new TV technologies produce, is second to none. From straightforward television wall-mounts for flat fittings, right the way across to swivel mounts, ISS engineers have the skills and know-how to install all the different types, and just like the cinema, there will be no wires getting in the way of the view. Whether it’s sky digital, sky plus, sky plus hd, sky 3d or freesat, the simple fact is that there are a great many more choices available to those residential subscribers of satellite television services. One of the problems is that you may not have the space required to make a satellite installation dish possible, then you may have been told that you are not able to watch the satellite channels on offer. As it is, ISS has helped many customers resolve the problems the major satellite providers argue makes installations prohibitive. This means that our customers are able to watch all the channels that they wish. Whether its a new home cinema installation from Yamaha, all the way up to leading cutting edge solutions, our ISS engineers can match your vision with the technical know-how to make this a reality. Whether you are wanting to go upgrade from the television through to a 5.1 surround sound system, the ISS engineers can provide you with the complete installation service, right the way through to concealing the many wires that these AV systems use. Our experience in the sector means that our installation service also extends to providing you with helpful advice so that when you are left alone with your new system, you’ll know exactly how to get the most out it. Controlling all the sound in your house is something that the Sonos system gives people looking for the most complete multi-rooms audio systems on the market. Our home audio engineers can provide you with all the necessary support, from installation and balancing the system through to support on how to operate it and get the most from the system. With an ever increasing volume of devices being shareable at home, getting your Iphone, Ipad, or other Android portable device to connect with your wireless network is not as straightforward as it might at first appear. In the same way that Playstation's connecting to your load network, or Xbox's for that matter, can be problematic for those not technical savvy. Our home networking engineers are available on call-out to help resolve home connectivity problems and make all the devices that you and other family members use, work harmoniously together. We have resolved problems for clients using BT, Virgin, and Sky wireless internet connections. We also resolve problems in the home relating to slow internet and network connectivity. If you would prefer to speak to someone right away, please contact 0800 680 9149. Our list of services (above) are not exhaustive, but are presented to provide a sample of the types of services that our teams can respond to. ISS Electrical knows that customers sometimes wish to have a completely bespoke solution in their house, and with over 10 years in the business, the team of engineers have the necessary experience to help realize these experiences in practice. Whether you have ambitious ideas or simply need some support to make your home network or audio/visual equipment work as smoothly as it was sold to you, you can find an ISS technician nearby.